A quick walkthrough, tips, tricks, and strategy guide for beginners playing Heroes and Titans 3D. Although the Heroes in the game looks similar to DOTA, DOTA 2 or WOW, the game mechanics aren't. Here, you'll need to form teams or groups of heroes to fight for you. The "RED DOT or CIRCLE"
- Once you see this, check it out because it needs your attention. - Look for this "Red Dot" every after battle to check your progress, or to claim a rewards. - Follow and complete your Quests while doing Campaigns to give you ideas on what to do next. No need to rush, just reach what you can with your current team, if you can't advance, stop and refer to the "Once You Hit A Wall" section below. - Complete to get various tasty rewards, especially the Team EXP which is very important for your progress. - A must to do tasks to level up your Team Lvl. - Complete what you can to get various rewards. - Free Energy: Check the given time and claim your Free Energy during that time. Note: Missed rewards can't be reclaimed. - Lucky Spin: Unlocked at Team Level 15. Do this only once a day to get the Team Lvl EXP from Daily Quests. If you're lucky, you can get criticals that will multiply the value of the Gold received. - Enchanting Equipment: If you just want to get the Team Exp from completing the Enchantment Daily Quest, then just do this once a day. - Sign-in everyday to get awesome rewards, especially the Free Hero of the month. - Do not waste your Gold for these Chests, just use your "free chances" for some extra items, and to complete the "Treasure Chests" Daily Quest. Spend your Gold into more useful options like upgrading skills. - Once you have excess Gold (ex: around Lvl 70+ with 2M+) mid to late game, purchasing the "Buy 10" Silver Chests isn't a bad idea. This will give you some free heroes if you are lucky, gears including purple, Hero Spirits and more. - Just get the first free Gold Chest after the cool-down timer (about 2 Days). Your first one will definitely draw a nice 3 Stars Hero, add and level this Hero up for your main team early game. - Note: If you accidentally or purposely used Gems to purchase this one, you will still get a 3 Stars Hero. - If you are a heavy or casual Diamond user, get the "Buy 10" Gold Chests to get 1 guaranteed random Hero as a bonus. For Free 2 Play gamers, just earn your extra Diamonds for this one if you like, better if you have low hero pool. - Check the Events Section, Friends Rewards, and more. Watch out for free Chests popping around the town too. 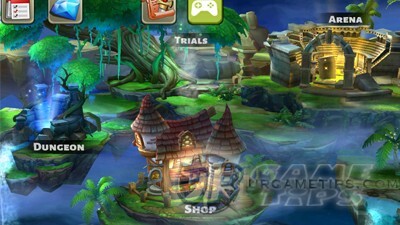 AS the game goes, you will also unlock the "Ancient Chests" requires Keys and Chests. - Here you can claim your Login Rewards, Arena ranking rewards, Event giveaways, and other Freebies. Continue the tutorial until you get all starting 5 Heroes, just reach what you can with your current team. Do this while following your Quests or Daily Quests. - Normal Stages: You will earn Stars the first time you complete a mission. Gather enough Stars to obtain a Star Chest as a Completion Reward. - Getting 3 Stars will also unlock the Raid Feature (requires raid tickets) and the Auto Fight. - Normal Battles: EXP is evenly shared to all Heroes who joined the battle. - Raid Battles: No hero EXP, but you'll get EXP items that you can use to any Hero you choose. - Both Battle types will require Energy. Team/Hero EXP and drop rates are the same. - Items may drop during battle, use them wisely to buff your heroes during battle. - Raid Tickets can be obtained from Events, Daily Quests, Mission drops and more. - You will only lose 1 Energy if you lose a Battle in Normal Missions. - Stamina and Hp Regen only triggers between waves or battles. - Team Lvl is simply the most important aspect in the game. It will unlock new features and strengthen your Heroes by lifting up their Hero Lvl and Skill Lvl caps. It also increases your Max Energy for more gameplay time. - Get Team EXP from Normal Battles, Quests and Daily Quests completion rewards. - 2nd most important aspect in the game because it lifts up the Lvl cap of Skills and will greatly increase skill damages. Stats will also increase depending on the Stats Growth of the Hero. - To check the levels of your enemies, tap on their portraits in the stage info screen, before the Hero selection screen. - If one of your Heroes is maxed, you might want to switch that Hero to one of your lower leveled Heroes to level him/her up too, especially when doing replays at lower stages. To effectively level up a new Hero, you might want to use a healer, another tank, or just feed EXP potions from your BAG instead. - "Are my starting 5 Heroes worth leveling? - "Are they strong late game?" - "Should I ignore my starting 5 Heroes and wait for better Heroes to level instead?" - Well, you definitely still need them early game up to around Blue+ to Blue+2 Promotion. Giving you enough time to experiment with them and decide which one to continue leveling. 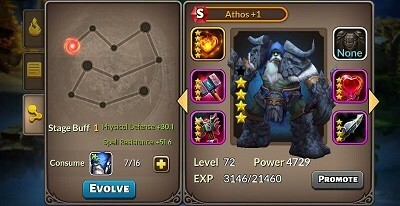 - Athos is a great tank early game, and still a very viable one at higher levels. Level him up still, even if you drew a 3 Stars Tank Hero from your first Gold Chest. His Hero Spirits can be farmed from Elite stages early on too. - Alexis is a nice DPS team support hero, great for Physical based teams. Her Hero Spirits are easy to farm too. - Lady Ember (DPS high Single Attack) is also a great hero to have, excellent for female-only Trials and more. Her Hero Spirits are easy to farm too. - Nago Nago (healer support) is a situational hero, great for PvE and for healing early game. - Note: You can get a 3 Star Hero from your first time Gold Chest draw. If it is a DPS hero, I would recommend replacing Anguish, if it's a tank hero, replace Athos, or Anguish (temporary use 2 tanks till you get a better DPS hero). If it's a Healer like Lord Odem, replace Nago Nago or Anguish. - 3 Star Heroes gets high base stats and are commonly used until around Lvl 50, or higher (depends on hero). - A control hero is someone that focuses on controlling the crowd by stunning, silencing or with similar skills, preferably AoE (wide area effect). - A support hero is not necessary a healer, it can be a team buffer or both. - An off-tank is a front line hero that can decently tank, but still needs a tank to perform better like Phantis. - Don't just focus on 5 Heroes, you need a 2nd or a backup Team of Heroes too to help you out in Dungeons, Expeditions or other Modes, like battles that will require you to focus more on Physical or Magic Heroes, and even female-only battles. - Manual Trigger (Ultimate Skill) = Manual Skills can be activated when the Energy bar is full. It is filled when your Heroes attacks, gets attacked, or if they will do last hit kills for +300 Energy/Stamina bonus. - Auto Trigger = Auto attack skill that activates within a set time, the timing varies per skill. - Talent = A passive skill that applies to the hero only, always active until the end of battle. - Halo Effect = A team passive skill that remains active until the hero dies. - All, to make your heroes and team strong, but which ones first? Focus on your main 5 Heroes, then work on the next ones. - Skills that can buff stats or heal the team. 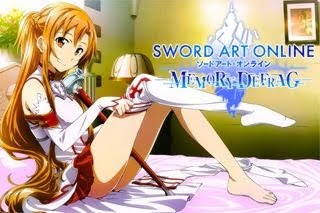 - AoE (Area of Effect) Skills that can do massive damages to all enemies are also great. - Massive single attacks, especially with high crit chance! - Disability skills like stun and silence, upgrade them to keep their success chances high. - or any skill you think is good, the point is, there's nothing wrong if you are upgrading skills, in the end you'll have them all maxed anyway (for core heroes). - Which heroes to promote more? Focus on your main 5 Heroes, then work on the next ones. I would suggest you focus on your tank to last longer in battles. - If you get stuck, upgrading your heroes' equipment will greatly help. - Note: If your Hero is ready for Promotion but didn't meet the Lvl requirement, go to your BAG and use your EXP potions. - None +: means there are no available gear for that Hero. Tap the Empty Gear Slot > Recipe > Item images to check where to farm the item/s needed, tap on the map or stage name again to automatically take you there, if it's unlocked. - Promote your heroes to make them stronger (will add stats from gears) and to unlock new tier of skills. Starting from Purple Promotion, check your hero's next promotion gears from the HANDBOOK. Plan ahead and never promote if you will only equip few gears. It's better to Level Up your Hero first to be able to equip at least 4 gears upon promotion (also depends on the hero and player preference). - Start once Elite Chapters are Unlocked. - Farm Hero Spirits to get more Heroes by completing their required Hero Spirits. - Farm all Heroes that you don't have yet, yes others are somewhat harder to earn, but keep on going while you have the time (Note: the limit is only 3 times a day per stage). It's better to have them even if they turn out weak, they might be useful on certain Modes or will get buffs in the future. This is also a nice way to spend some of your excess Energy. - If you already have the Hero, Hero Spirits will now be used as Evolution Materials. - Elite Chapters would be your first farming source for hero candidates, heroes that you can easily evolve (+Stars) is one good way to strengthen your heroes and teams in the long run. - Evolving Heroes will increase their Stats Growth Rates. Best done mid to late game for your core Heroes, but you can start early game if you already know what you want. - While farming Hero Spirits for new heroes, you can also farm some for existing heroes to give a quick Evolve to your preferred 1 Star Heroes. - When farming Hero Spirits, the chance is just around 33%, so other players do this: Once they get 1 Hero Spirit, stop farming on that stage, this is because most of the time, once you get the Hero Spirit, it will hardly drop another. - You can come back though if you want to gamble and have excess Energy, or if you plan to Reset the stage.